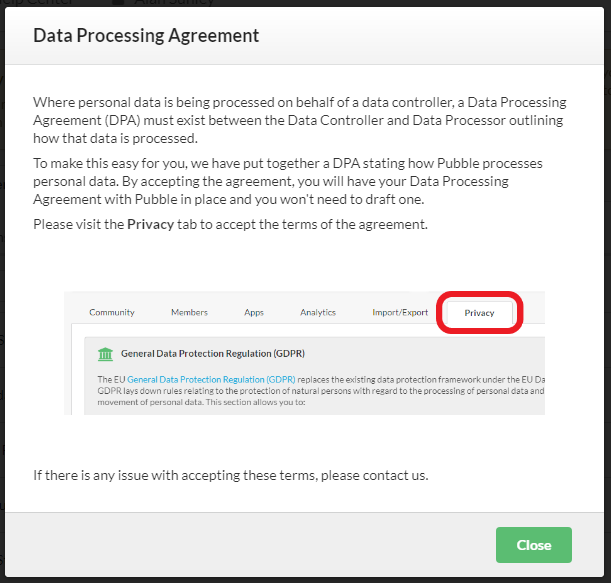 Where personal data is being processed on behalf of the data controller, a Data Processing Agreement (DPA) must exist between the data controller and the data processor. To make this easy for you, we have put together a DPA outlining clearly how Pubble processes personal data. 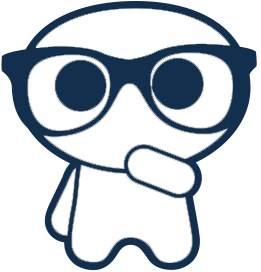 By accepting this agreement, you will have your agreement in place with Pubble and you won't need to draft one from your side. 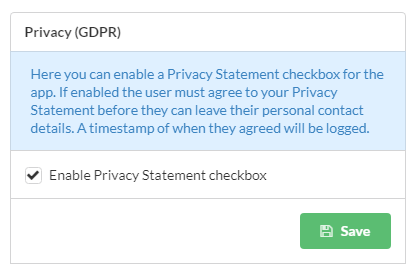 Copy the link to your Privacy Statement and paste it into the Privacy Statement URL input box (detailed below). If you want the data subjects (your customers) to expressly consent to contact from the data controller (you), you can enable this option in the app settings. 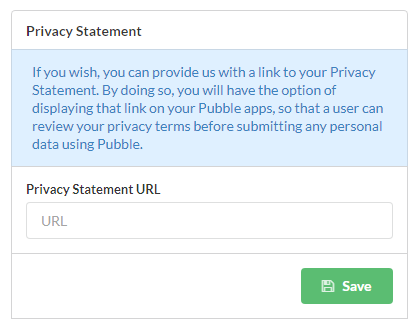 In order to enable this option for your Puble apps you must first provide a Privacy Statement URL, hosted from your website, which should detail in clear terms how your website gathers, uses and manages your website visitors' information. 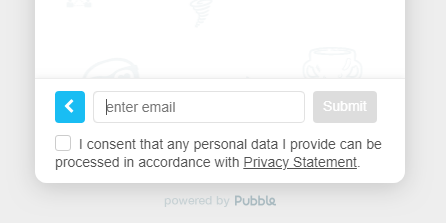 Pubble cannot offer legal advice on how your privacy statement should be composed, however it is recommended that you have a clear, comprehensive privacy statement in accordance with GDPR.